Coverbond 4: An extra thick, bulky, four layer material, designed to help prevent nicks and door dings. 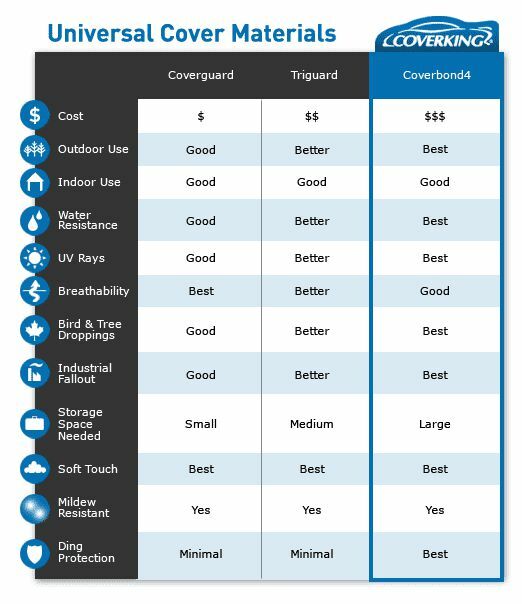 The thickness of Coverbond 4 absorbs most minor impacts, and stands up to natural as well as man made hazards. 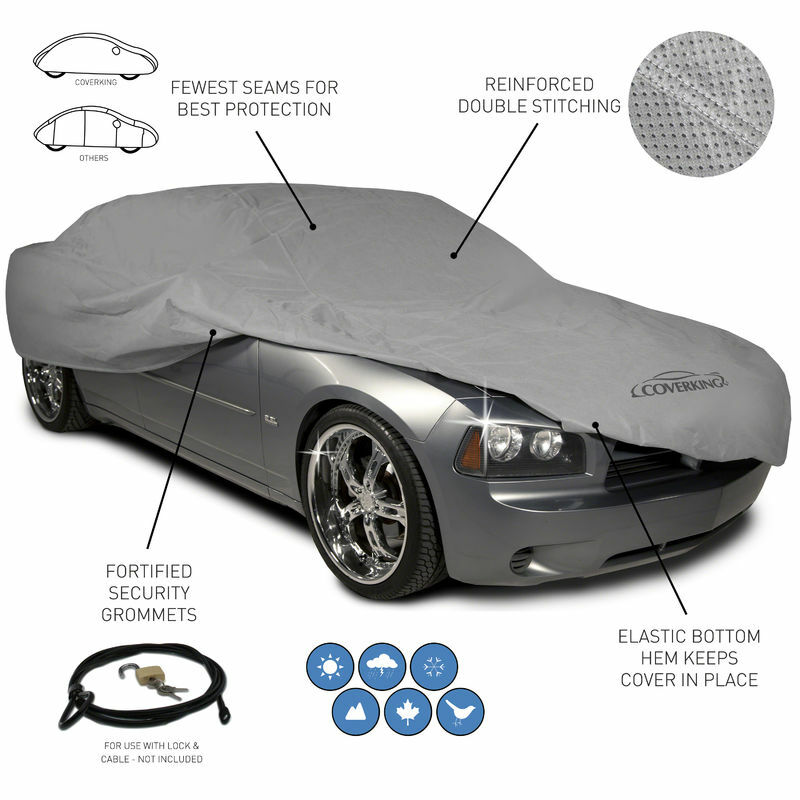 For a rugged protection, this car cover features UV-treated polypropylene and its 4-layer construction with reinforced double stitched seams and non-scratch security grommets.